The role and capabilities of endpoints have progressed dramatically in the past few years, and endpoint security software with built-in endpoint firewall is now the norm in the enterprise. Conventional Antivirus solutions which scan every individual file, are not optimised for securing every endpoint. With traditional endpoint security solutions, it is difficult for resource-constrained IT departments to manage multiple endpoints. Plus, most of the endpoint protection solutions are difficult to deploy and manage. To better address the needs of endpoints with speed and efficiency, an Integrated Endpoint Security Suite with an Endpoint security firewall built-in is a must. An Integrated Endpoint Security Suite offers strong data security for critical data and systems. It provides advanced threat prevention and Enterprise-class Endpoint security firewall, all in a single console. Plus, organizations can enforce compliance for all of their endpoints with the help of consolidated compliance reporting and flexible email notifications from Integrated Endpoint Security Suite. Fast and Easy Deployment: Having many capabilities integrated into a single endpoint security product can significantly ease the deployment of new security technologies. One single console for installation and configuration delivers completely integrated functionality, right out of the box. Single Management Server Hardware: With an Integrated Endpoint Security Suite, there is no hassle of different hardware, systems or additional components. Single Management Server Software: An Integrated Endpoint Security Suite offers an easy-to-manage console. It is capable of scaling for larger deployments as well. Saves Time on Initial Deployment and Updates: It takes a simple installation task to control the Integrated Endpoint Security Suite, with no dependencies and no requirements for numerous re-boots. No Hassle with Different System Requirements: Software compatibility challenges can be a headache for many organizations. With an Integrated Endpoint Security Suite, organizations do not have to worry about compatibility issues. Deeper Integration: Integrated Endpoint Security Suites offer deeper integration which in turn allows for flexibility and greater functionality. Streamlined Policy and Task Changes: With Integrated Endpoint Security Suites, modifications on tasks and policies can be made in a single step. Generally speaking, it is much more economical to buy one product (Integrated Endpoint Security Suite) than to purchase components separately. If you opt for an Integrated Endpoint Security Suite, you can run it on a single server (more likely on two servers for redundancy). Imagine how many separate servers might be needed if you opt for standalone components. Moreover, it is much easier to monitor and manage the performance and security of endpoints with an Integrated Endpoint Security Suite. If you are in search of a good Integrated Endpoint Security Suite, choose Comodo Cybersecurity’s Advance Endpoint Protection. It can protect and secure the endpoints even from zero-day exploits, unknown malware, or advanced persistent threats. The traditional approach of securing endpoints focuses on detecting known threats. It leaves most Endpoints vulnerable to zero-day malware, but with Comodo’s Containment technology, every unknown file will be automatically made to run in a virtual environment. Try Comodo Endpoint Protection today! So you are an enterprise in search of endpoint security. Now the biggest problem you’ll be faced with is that there are so many endpoint vendors out there in the IT security market, that choosing one – the right one – will seem like a near impossible task. To solve this problem, in this blog, we’re providing a list of quality questions to help you easily evaluate endpoint vendors and end up selecting the right endpoint security tool which will protect your enterprise efficiently. What Makes Up Your Endpoint Security Software? Probably the most important question that will give you an idea of how the endpoint security will work, the various security tools it makes use of, the technologies it adopts and other such information. A good endpoint security will be a mixture of antivirus, firewall, and internet security among others – and will usually include several technologies like intrusion detection techniques and granular application control, etc. If the endpoint protection vendor answers positively, then you can use the solution without any hesitation. How Does Your Endpoint Security Prevent Malware And Zero-Day Threats? Ask the endpoint protection vendors how their security solution prevents malware and zero-day threats. It’s not enough just to know how the endpoint security prevents malware and zero-day threats, it’s important to know how they do it as well. How Well Does Your Endpoint Security Function In a Virtualized Environment? 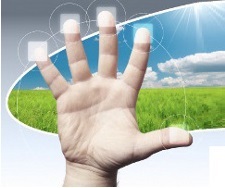 Some endpoint security solutions may not function effectively in a virtualized environment. Some functionality may be lost or other operational problems may surface. If this is the case, then it’s better to avoid such solutions. And it goes without saying that a good endpoint security should function well in virtualized environments. Is Your Endpoint Security Compatible With All Devices? Another question to ask endpoint vendors is about compatibility. Because a typical network contains many devices – both workstations and mobile ones – and therefore any endpoint security solution not compatible with a particular type of device will be of no use. In other words, your endpoint security should be compatible with all the devices. What About Scalability? Finally, never forget to question your prospective endpoint vendors regarding scalability. Because, after all, your enterprise is never going to be of the same size. It will eventually expand, as you progress. Therefore this is an important factor and, moreover, a good endpoint security software should be scalable. Comodo’s Advanced Endpoint Protection (AEP) comes equipped with impressive security features – like Containment, Host Intrusion Prevention, Signature/Behavior-based Detection and more – that easily make it the best endpoint protection tool in the IT security industry. Above all, Comodo AEP addresses all the above questions in an emphatic manner. Therefore enterprises like you can, without any hesitation, choose Comodo AEP as your endpoint vendor in order to take your enterprise security to the next level. Hyper converged Endpoint security platform – An effective key to encounter cybercriminal activities. The rise of online threats is getting advanced, and security experts are equally developing new forms of security technologies to outplay even the most sophisticated hacking mechanisms. The current focus is more towards Endpoint Detection and Response that combines novel approaches to identify and instantly respond to battle against the identified malicious activity. This works beyond the basic capabilities of anti-spyware and anti-malware. The incorporation of Endpoint Protection Platforms (EPP) featuring data protection and device management was approximately a $3.2 billion market in 2015. The then transition was to look upon the expansion of the capabilities with new and robust features to be an advanced form of traditional security. However, the Endpoint Detection and Response Vendors started to combine Endpoint Protection technologies to stay updated with the latest functionalities added by the EPP vendors. The security experts are hell bent in framing a sturdy multi-layered approach to give in-depth defense methods and techniques to elevate the security schema of organizations. The integration of EDR along with EPP benefits the companies not just with security defenses but also delivers a hyperconverged platform with both physical and virtual endpoints. The current day’s concern is the file-less malware that goes unidentified even through signature-based and heuristics-based detection methods. To be more precise, unlike traditional malware, the file-less malware runs in memory and leaves no traces of its presence on the hard drive locally. This is common amongst cyber-based espionages as they rely on this technique to outplay the conventional EPP which are outdated and are not equipped enough to examine and perform memory analysis. Sometimes, the hackers exploit the zero-day vulnerabilities, as their malware deployment techniques. This is either done by exploiting known vulnerabilities of left unknown patches or sometimes by sending spear phishing emails with infected malicious attachments to target victims. Wanna cry was one such example that leveraged the use of vulnerabilities of the companies that have not deployed the latest security patches. Sometimes organizations find compatibility issues and hence leave the software unpatched, this leaves the organization’s network open to ransomware attacks. It is critical to enforce a strong security posture on the organizations’ network to get a clear visibility on the modes of stealth attacks, unusual behavior of the system and application – all through a single management dashboard. This would ease the work of the IT security manager to get the overall the security status of the organization’s infrastructure. Advanced Endpoint Protection from Comodo offers NextGen endpoint protection mechanism with an effective combination of EPP and EDR technology while it takes the role of cybersecurity to the next level. It identifies security incidents, blocks known bad files and allows known good files, examines the security incidents, contains all the unknown files in the virtual container through a containment technology. This is then followed by a strict analysis of the unknown contained file through a cloud-based verdict system called the “Valkyrie”. Therefore Comodo Advanced Endpoint Protection offers a unique and scalable security approach that is sure winner in delivering absolute protection even against the most threatening zero-day malware. Comodo AEP, hence effectively provides a converged endpoint security solution through a combined approach of endpoint protection with endpoint detection and response from a unified management console. Endpoint security or Endpoint protection software are specially designed for corporate clients to protect all their endpoints like servers, desktops, laptops, smartphones and other IoT devices from cyber attacks. Endpoint security serves as a useful methodology for identifying cyber threats and also to secure the vulnerable endpoints in the corporate network. Endpoint security guards a corporate network by blocking access attempts and other malicious activities at their endpoints. With practices like (Bring Your Own Device) BYOD and ever-increasing incidences of mobile threats, endpoint security has become crucial for the corporate world. Nowadays, employees connect to company networks using their laptops and mobile devices, from the comfort of their homes and also while on the move. A standalone security solution (Antivirus) won’t be sufficient in this scenario since the security perimeters tend to be undefinable and ever-changing. This is where Endpoint security comes into play by providing centralized security measures with additional layers of protection at endpoints. 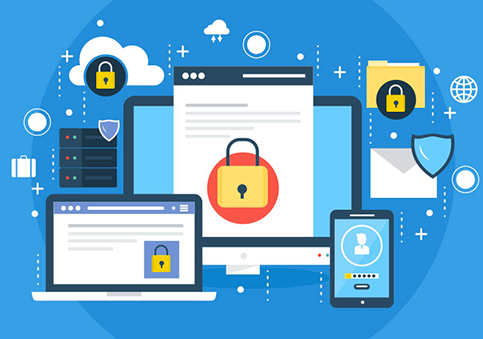 Most of the Endpoint security software includes antimalware, antivirus, and firewall along with a Host Intrusion Prevention System (HIPS) software package that prevents malware attacks by examining and sandboxing suspicious apps and processes. Endpoint security helps IT admins to maintain greater control over all endpoints and also helps block threats effectively. Endpoint security software is fundamentally different from the antivirus software. Unlike the Antivirus protection wherein an individual device gets protected, endpoint security software protects the entire network as a whole including the endpoints (devices used to access the network). Beyond this, the endpoint security software is also responsible for its self-security. 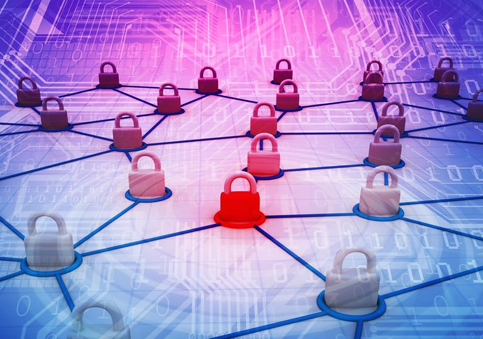 Every endpoint in a network stands as a potential “entry point” for security threats. Every device (laptops, desktops, tablets, or smartphones, etc.) that is connected to the network carries the risk of becoming a cyber criminal’s unsolicited entry point. Endpoints are always at a constant risk of falling prey to malware that leaks sensitive data from the network. Further, with trends like BYOD (Bring Your Own Device) becoming almost a corporate mandate, such risks have become even more intense. Endpoint security not only serves as a centralized security solution but also offers added protection in the form of endpoint monitoring to keep malicious activities at bay. Thus, for obvious reasons, Endpoint security has found a safe place in the IT sector and wherever IT security is of importance. It has the power to run suspicious and unrecognized application within a contained environment. It helps in advanced and customized URL filtering as well as cloud-based scrutiny of files and file reputation. Application of endpoint security also keeps malware intrusion in check via a comprehensive behavior analysis covering all processes and sieving out the good from the bad. Therefore, in a world frenzied by the Internet of Things, this technology has caught the attention of users who wish to leverage the web without compromising on security. If you are in search of a good endpoint security software, choose Comodo Advance Endpoint Protection. It is a complete endpoint protection platform comprising multiple security technologies, like the anti-virus, HIPS, web filtering, personal firewall, white/blacklisting, application control, device control, Secure Auto-Containment, etc. Gone are those days when we managed to secure data in a secluded environment. From the rise of the internet and the elevated use of endpoints (from laptops, smartphones to virtual and local servers) to the storing of data; it’s all now making for extremely easy targets for hackers to steal sensitive and personal data. It is, therefore, very challenging to protect endpoints with the ever-evolving threats and with endpoints changing and adding software consistently. Security experts have now turned their attention from platform security to data-centric security. In spite of all the technology development, data security is a challenge beyond control. The idea of data-centric intelligence is to protect the data on-the-go. For instance, accessing of data can be permitted from remote, however, the storage of data is not allowed. Keep a check of the data that comes in and goes out of the organization network. In case of any insufficient data protection, it should be addressed instantly. If the endpoints are found to be compromised, it is better if the infected endpoints are restricted or limited from accessing the other endpoints in the network. Endpoints that are trust compliant can be allowed to access and connect the other endpoints of the same network segment. There has to be a proper stability with the security controls, while there should also be no interruption with the regular user experience. Users are liable to accept the security controls by providing username and password along with advanced security controls as well. An evaluation of endpoints should be performed by interviewing different users of different platforms to see how the security controls affect each of their user experience. Comodo Cybersecurity’s Endpoint Protection is one go-to security solution that deploys artificial intelligence and combines other cognitive approaches to help users understand the difference between malicious activity and a genuine one. It also prepares the organization with the readiness to deter any possibly malicious attempts from entering the network.